Writing an interesting blog is a matter of skill. You need to structure your content in a way that will keep your readers interested and will appeal to them. Try not to clutter the blog with too much information in one place. Make the blog more reader friendly by using sub headings and clearly demarcated paragraphs. The readers must find it impressive enough to share with others via the social media platforms like Facebook, Twitter, Linked In and others. More the number of shares more will be chances of getting high ranking on search engines. Search engine optimization is the time tested way of increasing the ranking of the web pages on the search engines. Some experts are of the opinion that writing for successful SEO service in UAE and good readership is a totally opposite thing. The content that is written for SEO must be more mechanical, scattered wit keywords than for the readers. But this theory is not true. Content must be written for readers and not for the crawlers. Besides, cramming keywords in the content might lead to spamming and can be categorized as Black hat SEO. You should avoid that in your monthly SEO package at all costs. 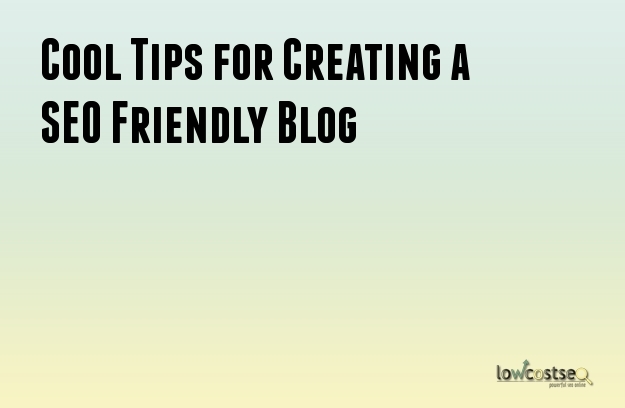 Here are some cool tips that will make your content attractive and also search engine friendly. You may think that writing a SEO blog does not require much thinking. That is not the correct approach. You must think hard about the message that you want to convey to the readers. Understand the audience that you are targeting and what can influence them. Do some detailed researches before you write and make sure that you have all the right information. This is very important if you want to capture your readers. Start with an introduction of the topic and then continue the blog with clearly demarcated paragraphs. Use proper sub headings for more clarity in your writing. Signal words are those words that are placed strategically in the content to give a basic idea to the readers about the content. Even if the readers just skin through the blog, they can understand the message that it wants to convey. Before you publish your blog in the web site give it to someone else for reading. Ask for their honest opinion and work on the criticisms, if any. This way you will get an idea about your reader’s reception of your post. Research shows that readers are more influenced by blogs and articles that are long. Try to write at least 1500 to 2000 words long articles if you want to capture the attention of the readers. Search engine is always looking for new and fresh content. If you want your web site to rank high, write and post the content on a regular basis. Try to make it as much updated as possible. If you have written and posted content before, link the new ones to them. This will give you more credibility as a writer.